View and dashboards, which can include production business metrics, introduced later in this chapter. View and manage workflow tasks, introduced in the next section. Send messages to other users of the User Portal, as seen in the upper left corner of the previous figure. For details, see Using Dashboards and the User Portal. InterSystems IRIS™ provides support for workflow within productions. Workflow makes it possible to incorporate human interaction into automated business processes. Uses of workflow within the enterprise might include order entry, order fulfillment, contract approval, or help desk activities. A production achieves workflow using a business process and set of business operations. A business process receives a request, organizes the tasks required to fulfill that request, and then calls upon business operations to perform these tasks. Each of these business operations assigns the task to a workflow role, which places the task into the workflow inbox of each user who belongs to that role. To access this inbox, users work with the User Portal, introduced in the previous topic. When a user marks as a task as complete, the workflow engine continues with the next processing step. For details, see Defining Workflows. InterSystems IRIS includes all the elements required to include business activity monitoring (BAM) as part of an enterprise integration project. First, it provides business metrics, which are specialized business service classes that calculate specific values at a configurable time interval. These calculations can take a variety of forms, involving calls to business operations, federated databases, the InterSystems IRIS database, or any arbitrary source code contained within the business metric class. See “Defining Business Metrics” in Developing Productions. Second, it provides dashboards, which are web pages that provide a real-time, graphical display of metric values. 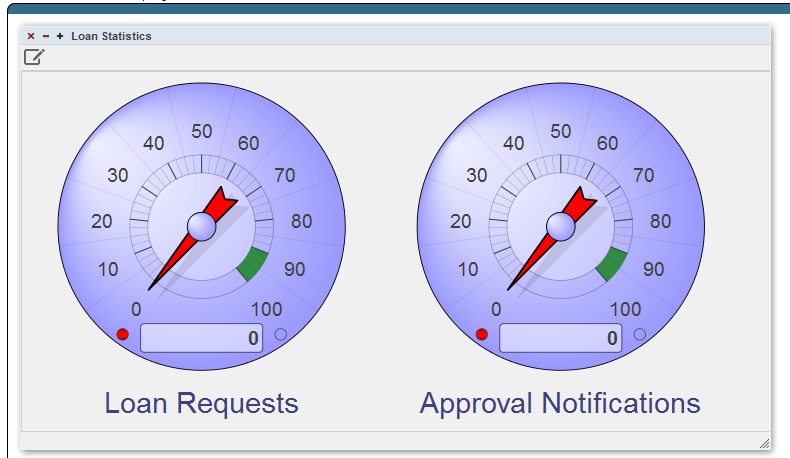 Each dashboard presents one or more meters, and these display business metrics. InterSystems IRIS provides a complete set of built-in meters that includes speedometers, light bars, traffic lights, and others. To getting started with dashboards, see “Creating Dashboards” in Configuring Productions. 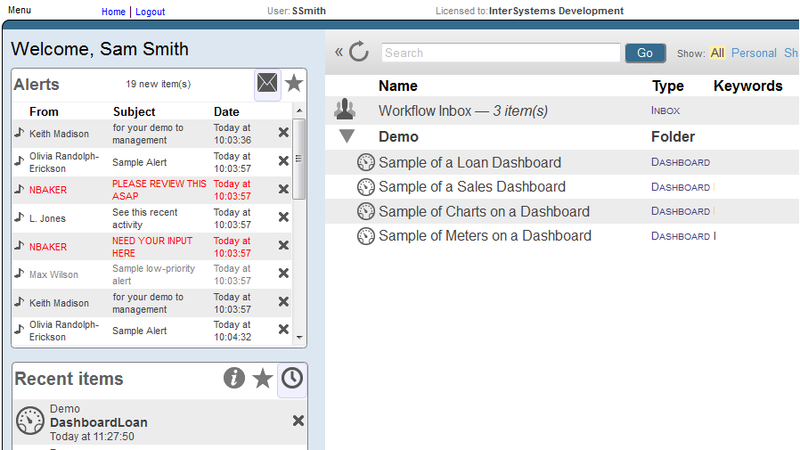 For complete information, see Creating Dashboards. An alert sends notifications to applicable users while a production is running, in the event that an alert event occurs. The intention is to alert a system administrator or service technician to the presence of a problem. Alerts may be delivered via email, text pager, or another mechanism. For details, see “Programming in InterSystems IRIS” in Developing Productions. Productions also support publish and subscribe message routing. This technique routes a message to one or more subscribers based on the fact that those subscribers have previously registered to be notified about messages on a specific topic. For details, see Managing Productions. The Message Bank server, which is a simple production consisting exclusively of a Message Bank service that receives submissions from any number of client productions. A client operation (the Message Bank operation) that you add to a production and configure with the address of a Message Bank server. To get started, see “Defining an Enterprise Message Bank” in Developing Productions.